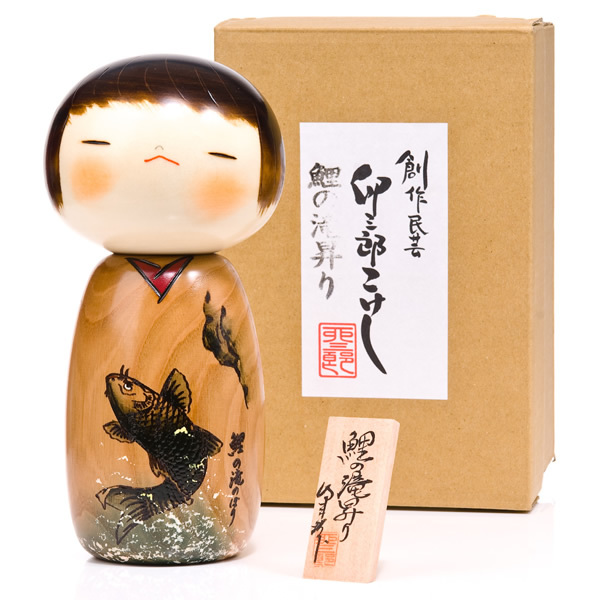 Children's Day is a Japanese national holiday in celebration of children's happiness, although the Success Childrens Day Wooden Kokeshi Doll is equally ideal as a good luck gift. 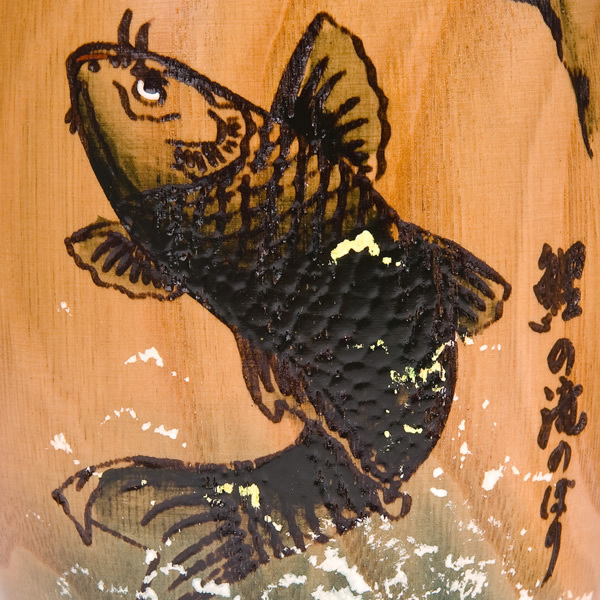 The Japanese kanji characters on the small wooden sign relate to a koi carp climbing a waterfall, a traditional symbol of success. 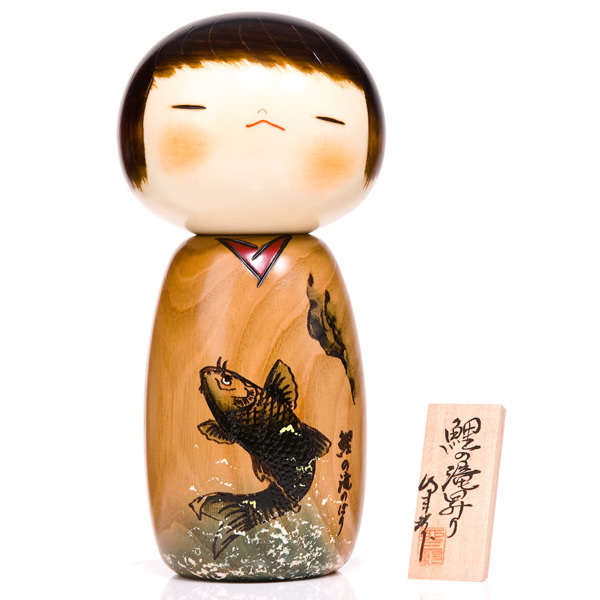 If you wish to purchase a wooden display base for the Success Childrens Day Wooden Kokeshi Doll, we recommend the large size. 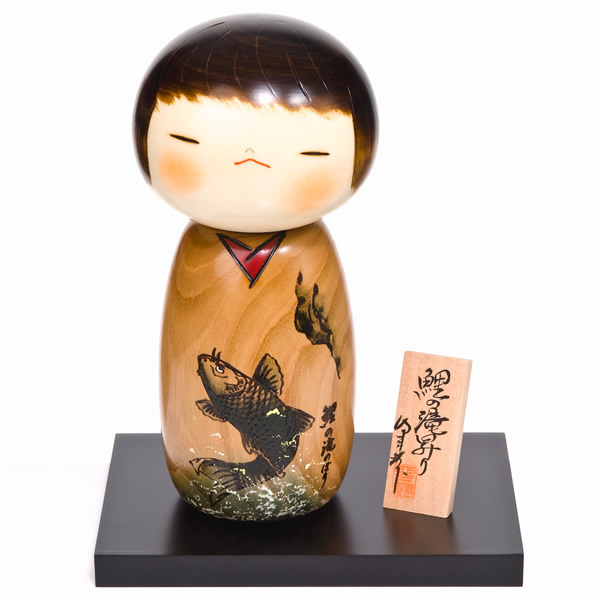 Order the Success Childrens Day Wooden Kokeshi Doll online today or purchase in-store, remembering to request our FREE gift wrapping service if required. I just wanted to send many thanks for your great service, fast dispatch and fantastic products. Although I know that the Success Kokeshi Doll is really associated with Children's Day, I thought it would make a super gift for my Japanese-culture-loving son on his 18th birthday....!! I hope this will start a new collection for him and will certainly be coming back to you for gifts in the future. Anyhow, his birthday is tomorrow and I am sure he will be delighted with it, along with the birthday card you so brilliantly personalised, with grateful thanks. Hi Jez, my guests loved your kokeshi and i just can't resist to them! I adored him on first sight. Then to recieve him, I was amazed and thrilled. So exquisit. Beautifully crafted. A treasured gift always.